Jayanta Mahapatra's work has appeared in virtually every important literary journal and several collections, which include Relationship (USA), and which won him the Sahitya Akademi Award (New Delhi, 1981). Physicist and poet Jayanta Mahapatra was declared the winner of the Kanhaiya Lal Sethia Award for Poetry 2017. 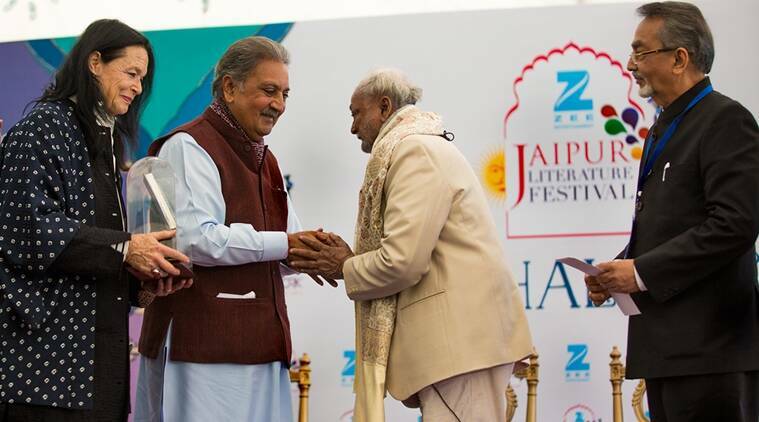 Jayanta Mahapatra, a physicist and poet, was declared the winner of the Kanhaiya Lal Sethia Award for Poetry 2017 at the Jaipur Literature Festival here. In association with KL Sethia Foundation, the award is established in memory of Mahakavi Kanhaiyalal Sethia and carries a Rs 1 lakh prize. Mahapatra has spent almost his entire life in Cuttack. His work has appeared in virtually every important literary journal and several collections, which include Relationship (USA), and which won him the Sahitya Akademi Award (New Delhi, 1981). He has read his poetry throughout the world — from the Adelaide Festival of Arts (Australia) and the Cuirt International Poetry Festival (Ireland), to Poetry International at the South Bank in London (Britain) — among others. The jury comprised of poet and author Sudeep Sen, Festival Director Namita Gokhale and poet and critic Sukrita Paul Kumar.